Eating my soup today, looked down, and was reminded I haven't caught a single damned episode of South Park this year! 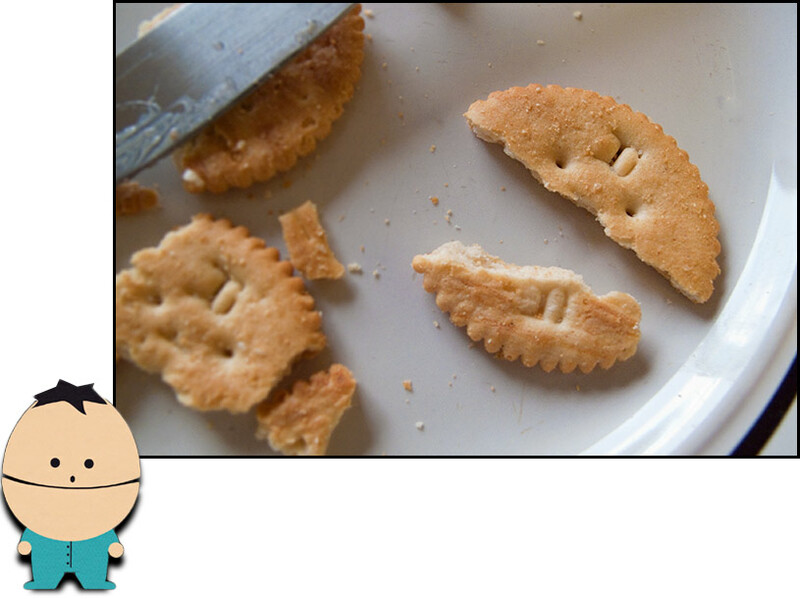 I laughed out loud when i saw the little cartoon and the twin cracker.. amazing resemblance.. Okay - so I'm puttingg away the sunglasses (as our three days of seasonal sunshine has now passed ) and set them down on the wife's laptop near her mouse... and I thought "if I move this a bit HERE and that just a bit THERE..."
Reinman returns, sound the horns let the fiesta begin, viva la Reinman!!! Viva La Reinman! !